The price of gems was the constant topic at this year's Tucson gem show, with prices on many gems up 30% from last year. This looks like a trend we'll have to learn to live with. But there was a time, not so many years ago, when an astute buyer, waiting at a mine in a remote location in Asia or Africa, could buy newly discovered gems at cheap prices. The miners needed money and didn't really know what the finished gems sold for in America or Europe. Those days are gone, and probably gone forever. The internet has made prices transparent, and the miners are now fully aware of the value of the gems they find. There are no longer bargains at the mines and the prices on rough stone have risen significantly. But price transparency is not the only factor driving gem prices higher. 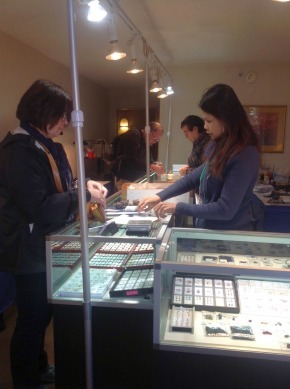 New buyers have entered the market, especially from China, and they are everywhere -- at the mines, at gem shows and at dealers' offices around the world. They are paying high prices in order to acquire scarce material, and the result has been a rapid increase in the price of even fairly ordinary gems. Dealers have to be especially resourceful now to find good gems at reasonable prices. For some dealers, the solution is to maintain prices by stocking lower quality stones. That will never be our strategy. We still buy the best gems we can find, and keep prices as low as possible by cutting the rough material ourselves. We are confident that we offer the lowest prices on fine gems and we are one of the few high end dealers that publish our prices for all the world to see. 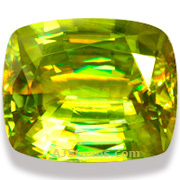 Indeed, our website has become a de facto pricing authority for many dealers, who come to our site to check current prices on ruby, sapphire, spinel and tourmaline. In colored gems, as in most products, you get what you pay for (and sometimes less). Given the price of precious metals and the cost of jewelry fabrication, it makes no sense to set an inferior gem in jewelry. Unlike most consumer items, a fine gem will be handed down through generations. Buy quality and value, and the investment you make in gemstones will last many lifetimes. While gem prices are going up, this month we feature some especially good values from our collection. 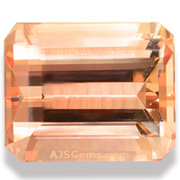 A gorgeous pink-orange Imperial Topaz from Minas Gerais, Brazil. Beautifully cut and absolutely clean. The still photo cannot do this gem justice, you have to see the video to appreciate just how fine a gem this is. Terrific color and excellent cutting in a hard-to-find round. 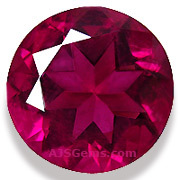 Very good clarity for rubellite. Though under 4 carats, this is an impressive stone at 10.45 mm and will make a gorgeous ring or pendant. An outstanding example of fine blue zircon from Cambodia -- wonderful color saturation and superb clarity (graded loupe clean). Beautifully cut with nice proportions Really a perfect gem! A bright golden-green sphene from Madagascar with excellent fire. Exceptionally clean and well cut, this fine gem has the glitter the makes sphene so popular with collectors. Guaranteed natural and untreated. Danburite is not well known, but it is a good jewelry stone (hardness of 7) that occurs in pale yellow, yellowish brown or light pink. 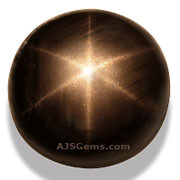 But it is the clean colorless stones which are most popular as gemstones, particularly in larger sizes. 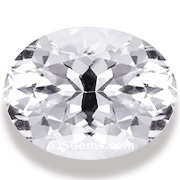 This 10.89 ct Danburite ifrom Mexico is loupe clean and nicely cut, at a very affordable price. Completely natural and untreated. Thailand is famous for the black sapphires with the gold star, but these days all the high quality material has mined, and and most new material has been fracture-filled. We still have a stock in fine untreated stones, including a number of pieces over 10 carats. Army troops have been deployed to guard a 20 ton jadeite stone discovered in Hpakant in northern Burma. The stone, said to be 5.5 meters (18 feet) long, is half buried underground. It was discovered by a small-scale miner on February 9th. Burma produces the vast majority of the world’s jadeite, and the Burmese jade is of the highest quality. Most jadeite is sourced from the Hpakant area, 350 kilometers north of Mandalay, in the mountains of Kachin State. According to a story in The Guardian, Apple has invested in a manufacturing facility in Arizona to make mobile phone displays from synthetic sapphire. Currently most smartphone screens are made from chemically hardened glasses such as Corning's Gorilla Glass. But sapphire is a much harder material and has been used for high-end watch crystals for years. But it is expensive and difficult to manufacture in very thin slices. We provide still photos of our gems taken under balanced lighting (5000 Kelvin) against neutral backgrounds. We also provide videos of many of our gems. Though we sometimes receive requests for hand shots, we have never quite understood the point of that. 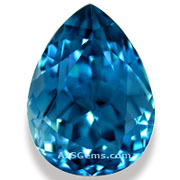 A gem could look quite different depending on the skin color and texture and size of the hand. Thailand has a fledgling democracy that has been going through growing pains since the end of absolute monarchy in 1932. Political rallies are a fact of life for residents here, and protracted street protests seem to happen every few years. Even then daily life in Bangkok seems to go on more or less normally. It has been business as usual for us, even though one of the largest protest sites is located just down Silom Rd. from our office. Unfortunately there have been some isolated violent incidents that have shocked the Thais as well as the international community. But this is not Egypt or Ukraine, and the protests are normally peaceful and the police and military are restrained. We hope the situation will get back to normal soon.